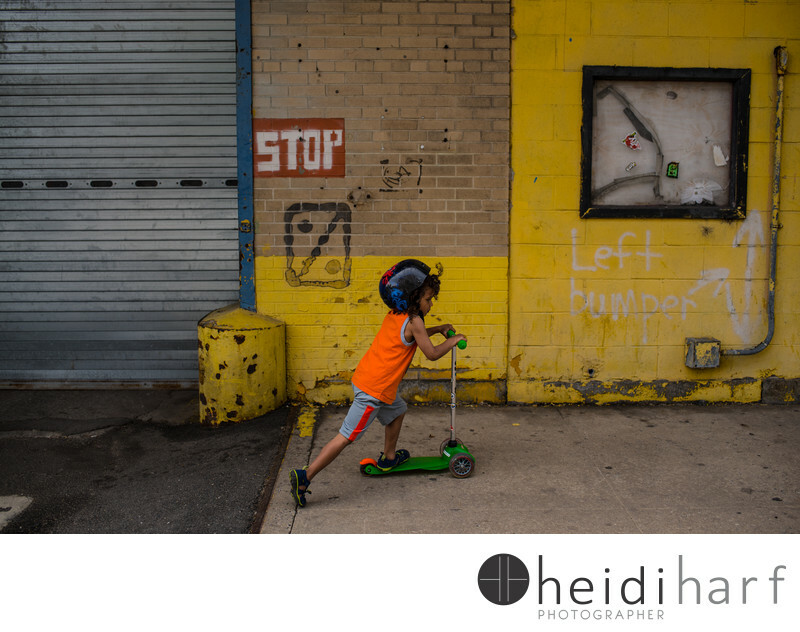 little boy scoots on his scooter from his west village apartment to chelsea piers, photographed during a documentary family photo session. Location: the high line, new york. Keywords: Candid (81), Day in the Life (72), documentary family photographer (30), Families (27), Family photojournalism (15), hamptons beach photos (15), hamptons family photographer (111), hamptons portrait photographer (30), kids (87), New York (36), new york family photography (15), new york portrait photographer (21), Outdoor (18).